IPTV has become the next big thing when it comes to streaming television. No longer is this just limited to Kodi alone. Now there are some really great Roku channels, Apple TV and Android Apps. Use these apps to watch live HD IPTV Streams full of TV channels from all over the world for free. While On Demand streaming is great. IPTV Streaming is the future of Streaming TV. What is IPTV Streaming Exactly? There seems to be a lot of interest lately in IPTV, for those that are not sure how this all works here is what it is exactly. IPTV stands for (Internet Protocol Television) and is basically a live stream of a channel or on-demand content that is streamed over the Internet. This content can be free or fee-based. It uses video compression standards which include H.264 and MPEG 4(which work with Roku and Apple TV) and also Windows Media Video 9, VC1, DivX, XviD and Ogg Theora. IPTV can be watched on many different devices. Here is a breakdown of popular platforms and apps that are typically used to watch live IPTV streams. These are all apps and channels that use M3U files. To watch quality IPTV content you will need a good M3U provider and preferably one that gives you access to an electronic programming guide. This is where it can get tricky as some of the public M3U link lists are garbage. The streams are often poor quality and channels can often come and go. Adding an m3u list to your app is as easy as pointing the app to a URL on the internet. Once this URL has been entered, your app will fill hundreds of Free channels from all over the world. Some apps already come pre-configured with live IPTV streams for you. The problem with these is sometimes the links are down and channels don't come back up until the developer updates the app. Worse yet is to have a channel go down right during the best part of a show or movie. This is a lot like torture to some people. Unfortunately, this is the nature of Free IPTV streams and it can be very frustrating sometimes. Having an app where you can add your own m3u channels is very handy. At the end of the article, we will show you how to search for your own M3U links and some popular places online to find current, and often updated IPTV HD channels lists. FilmOn is a Roku channel that has been around for a long while. There are several versions of this channel. Our favorite is the private version that includes a nice programming guide. Add FilmOn Tv Player Roku Channel. Believe it or not you can watch these same IPTV streams on an Apple TV 4. You will want to download the iPlayTV app from iTunes. 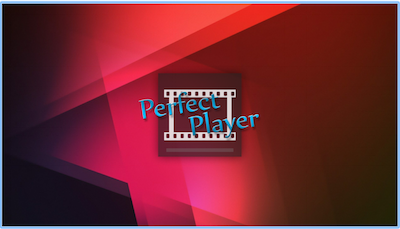 This app supports a nice EPG, has a very nice user interface and is one of the best apps for playing IPTV streams on your Apple TV or iDevices. It does cost $2.99 but when you see how great it looks and works you will find it's totally worth it. The bad news it is not available in the US app store. If if you are outside the US, check out the iPlayTV app developer's website here for more info. rIPTV This app is available in the USA and costs $1.99 it offers a very nice user interface, channel logos, and a basic EPG. Get it for you iDevices here. Channels that play playlists are no longer available on Roku. While there are still ways to watch m3u streams. We don't even bother with IPTV streams anymore. There are now so many Great Free Channels on Roku, dealing with IPTV streams that constantly freeze and don't even work half the time is really more trouble than it's worth. few work around ways to do so on Roku. Using Google Operands in their search engine can help to find those elusive free IPTV m3u8 playlists. Watch the video to see exactly how it's done. As you saw in the above video PasteBin is a great resource for finding M3U8 links. Using this site is like looking for a needle in a haystack sometimes because many of the links may be down. Every once in a while you may find some IPTV gold so it may be worth using from time to time. There is a trick to finding the newest links. 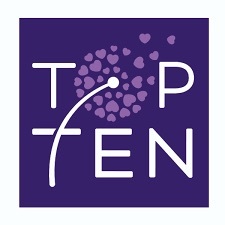 Visit the PastePin website. Change the Sort by: box from Relevance to Date. This will bring up the latest updated links. This custom Google search script only searches the most trusted sites from a pre-compiled list to search for and find the latest and greatest Free IPTV M3U lists and links. This will search some of the best Free IPTV sites online that often add new M3U8 links. If you use adblocking in your browser, be sure to add mkvXstream to your Ad-blocker's white list for full results and to be able to seee everything on our site. Enter the search term m3u or m3u8. In the results window, be sure to change the Sort field in the upper right hand corner from Relevance to Date. This will then show you where to find the latest m3u lists and links for channel streams that were just added. - Closed Facebook Groups are another resource for finding lists. Just search for PlayLists and IPTV Groups in Facebook. Warning: While there are many free legal IPTV streams, there are also quite a few Facebook groups that exists only to sell you access to pirated streams. Buyer beware and we won't recommend any. DANGER: Some premium IPTV providers provide content from pirated sources and could go down at any time. Your payment could be lost with no refund should the server ever go down. Something to think about before paying several years in advance. Hunting for free legal IPTV links can be fu and also frustrating. For the best most reliable streaming experience and to also support the entertainment industry, we highly recommend subscribing to a legal streaming TV service like Netflix, Amazon, or Hulu and also use an Over the Air Antenna to watch 100% Free Live HD TV instead. 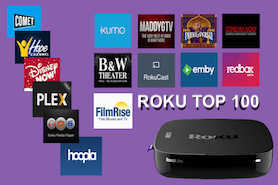 - Best Roku Private Channels List! - Top 3 Best Adult Channels on ROKU!